When you think of trending marketing strategies, direct mail probably isn’t top of the list, am I right? But then why does GOOGLE — the #1 technology company on the planet — depend on direct mail to drive its crazy-high revenue? Google uses DIRECT MAIL to drive its $110 billion revenue UP. Google spends hundreds of millions of dollars on their advertising every year because they know that marketing aggressively will grow their already monstrous bottom line. 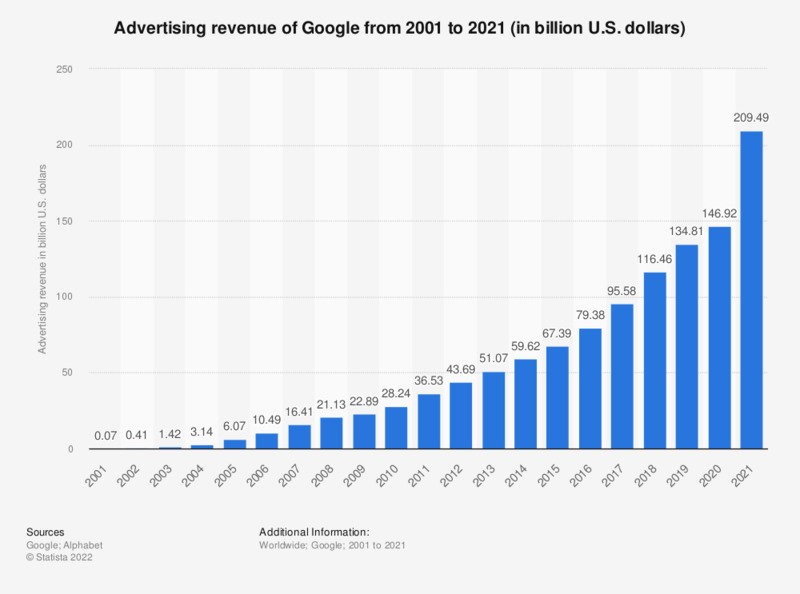 Google makes the majority of its revenue from its ads. So, why doesn’t Google just run its own ADS to generate more ads revenue? Why do they use seemingly “old-school” direct mail? Google knows people are bombarded by the internet. Internet marketing, internet usage, you name it. The U.S Postal Service’s Office of the Inspector General published an official report that reveals its research on how people respond to physical mail. Research participants spend more time viewing physical ads — vs. digital ones. People REMEMBER your marketing content better when it’s physical. Which as a business owner is EXACTLY what you want your marketing to do — be remembered! By sending direct mail to business owners who open new Adwords accounts, Google entices prospects to run ad campaigns — even if they’ve never done it before. That $100 in FREE ads offer from Google gives virtually any small business owner a way to test their ads platform risk-free. They know once you see results — ANY results — from Adwords, you’re hooked for life. They mail you a postcard! Direct mail WORKS — and there’s plenty of data to prove it. Moreover, the DMA Response Rate Report states that direct mail offers an average return on investment (ROI) of 15% to 17%. This same report also says oversized mailers — like postcards — have the BEST response rates, at up to 4.25%, particularly when sent to a targeted mailing list.